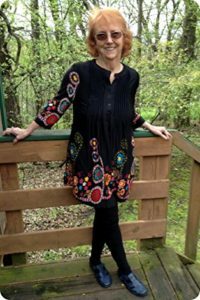 Today I’m delighted to welcome Wild Rose sister Cj Fosdick to the blog. Here she is to talk a bit about her heroine in her Accidental series, the first of which is on sale now for 99 cents, and to share her favorite Victorian era recipe for chocolate chip cookies. Take it away, Cj! Authors often share a brain with their heroines. My favorite heroine, Jessica Brewster, is taller and slimmer than me, but we both have the same red hair, brown eyes, penchant for drama and taste for cookies. When Jessica participates in a living history tea party at Old Ft. Laramie with her late grandmother’s mysterious teacup, she never imagined she would actually become living history—in the shoes of her look-alike great great grandmother. Baking anything in a cast iron woodstove is a challenge to a well-educated single woman of the 21st century who often relied on take-out or the convenience of popping frozen meals into a microwave. Woodstoves couldn’t regulate baking temperatures well enough to produce cookies, but creativity is also the mother of pre-invention in a time slip. Jessica’s version of our most famous cookie uses a pocket watch and broken bits of chocolate bars bought at the Ft. Laramie trading post. In the end, Jessica’s ingenuity wins love and legacy in the poker game of life. Add ingredients in order, creaming first two. Break up chocolate bars into about half the size of a fingernail & fold in. Refrigerate dough. Bake about 10 min. @350 on baking sheets lined with parchment paper until edges brown. The Accidental Wife began life as an award-winning short story. The Accidental Stranger is the sequel to Jessica’s timeless journey with “…a fanciful twist on its genre,” according to Kirkus Reviews. 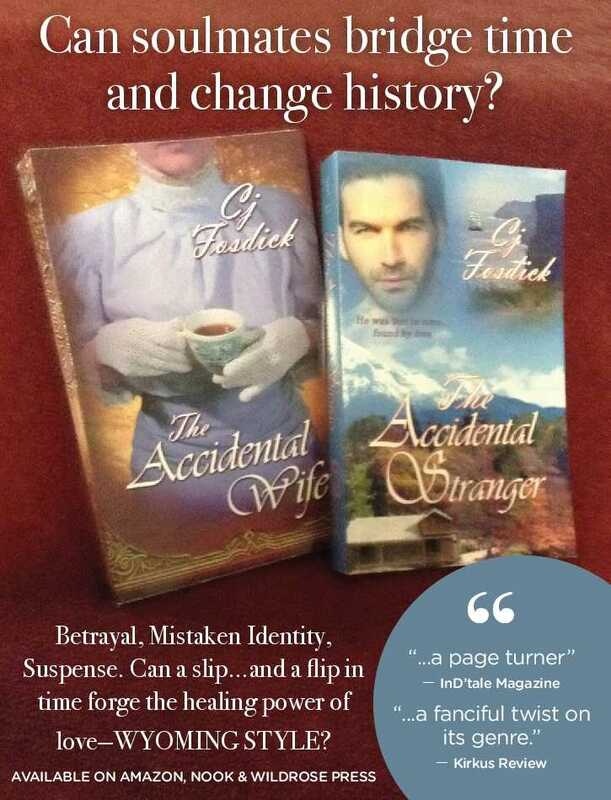 Until August 31, the eBook of The Accidental Wife will be on sale for the first time at $0.99 at most online bookstores. Connect with Cj in her monthly Newsletter for other recipes & special offers! CJ bends history, then bends it back again in her clever “Accidental” series. She makes time travel seem as real as the characters she paints. Both novels are engaging, enjoyable reads I hated to see end. Thanks Ginger, so glad you enjoy the series! Wow! I can’t wait to try these cookies from the 19th century especially after reading this great book! Jessica and CJ Fosdick are smart cookies! Thanks for joining me. Cj! My pleasure, Marin! These cookies are actually a basic recipe from the 19th Century. Clever Jessica thought of breaking up chocolate bars to improvise for the chips. I actually baked them for my launch party and they’ve also been a hit when served at my Book Club presentations when I show my power point on the evolution of a book series. Best Time Travel I ever read! Cj transported me to Wyoming in an unforgettable ride!